Viking Plans to Add River Cruises on the Mississippi! Signing up for a cruise evokes images of waving your hat from the top deck as the ship launches into the ocean for a multi-day adventure. But cruise ships aren’t limited to the ocean! In fact, many people find that a river cruise is a perfect laid-back way to see a different area of the country. Now Viking, one of the more popular cruise lines, is expanding their offerings to include a new itinerary on the mighty Mississippi. We’ve mentioned Viking before as they’re one of the companies that feature adult-only (18+) cruises. They have an extensive list of destinations and are working to add this new cruise on the Mississippi in the near future. Take a River Cruise to Watch the Leaves Change This Fall. These ships are built with a focus on comfort and design. It looks like this will actually be Viking’s first intercontinental river cruise route in the United States. That could be part of the reason for the delay. The Transportation Institute has strict laws that designate who can operate vessels on the rivers in the US. One specific law that dates back to the prohibition era, the Jones Act, specifies that all boats operating on the riverways must be built in the United States. The Viking Long Ships don’t currently meet this requirement, so a workaround is needed to get this route operational. Growing up in St. Louis, the Mississippi was always a huge part of our city’s identity. So much of the city’s history was built around the ships that traveled the river. Mark Twain helped to romanticize the draw of the Mississippi in our national culture with loveable characters Huck Finn and Tom Sawyer who found freedom and adventure on the water. Rivers are a place to slow down and reflect, they’re also a place to relax and admire the scenery. I’d be so excited to spend time on one of these ships. With the beautiful design, impressive meals, and lovely views, the Long Ships are definitely a step up from Huck Finn’s wooden raft! This would be a great place for bird watchers, leaf peepers, and those who are just looking for a place to unwind and take the slow route. Since the Mississippi spans from Northern Minnesota to the Gulf of Mexico, cruise lines typically offer two different itineraries – the Upper Mississippi and the Lower Mississippi. Exact routes vary depending on the cruise company, most of the Upper Mississippi voyages originate in or near Minneapolis and conclude around St. Louis. The Lower Mississippi routes usually begin near Memphis and end in New Orleans at the Gulf of Mexico. The route you choose will largely depend on the time of year you plan to travel. Most cruise lines offer The Lower route all year round due to the warmer climate. The Upper route runs from June until October when the weather starts to get too cold. An average river cruise goes for about 8 or 9 days. 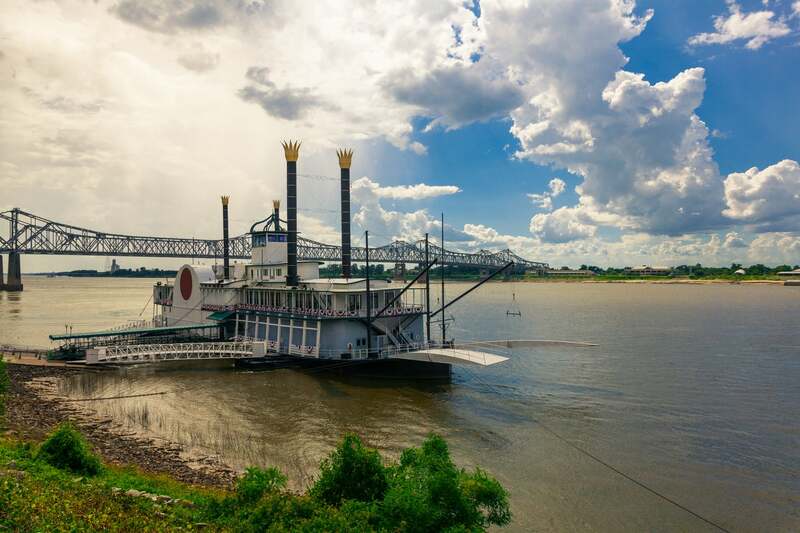 River Boats Are an Important Piece of the Mississippi’s History. There are a few other companies that currently run cruises down the Mississippi. We’ve found two other cruise lines you can book with while Viking puts the final touches on their itinerary. Take a look at these options where you can schedule your Mississippi River cruise today! Upper Mississippi Price: A 9-day cruise currently costs between $2,300 to $2,800. They do have longer cruises (16 days or 22 days) as well. Lower Mississippi Price: A 9-day cruise costs between $2,000 and $3,000. They also have shorter cruises (5, 6, or 8 days) and a longer cruise option (23 days) as well. Lower Mississippi Dates: The lower Mississippi cruises operate year-round. Have you ever considered taking a river cruise? Is this something that you find intriguing? Let us know your thoughts in the comments below! I didn’t see a source cited, but where are you seeing cruises as early as 2018/2019? Those were the dates that were floated for the past couple years before the Jones Act killed Viking’s first foray into the US. Recently there’s been renewed talks, but the estimates I’m hearing are for 2021 launch. You’re right, with the delay it was pushed back to 2021. I’ve updated the article. Thanks for the tip! My wife and I have taken several river cruises on Viking in Europe and would like to consider an American river cruise but find it cost prohibitive. We can fly to Europe, take an 8 day cruise on Viking with meals and shore excursions for less than an 8 day Mississippi cruise on an American line. Perhaps Viking in America could change that. If not, no US cruising! That’s good to know, hopefully when Viking is up and running the prices will drop. 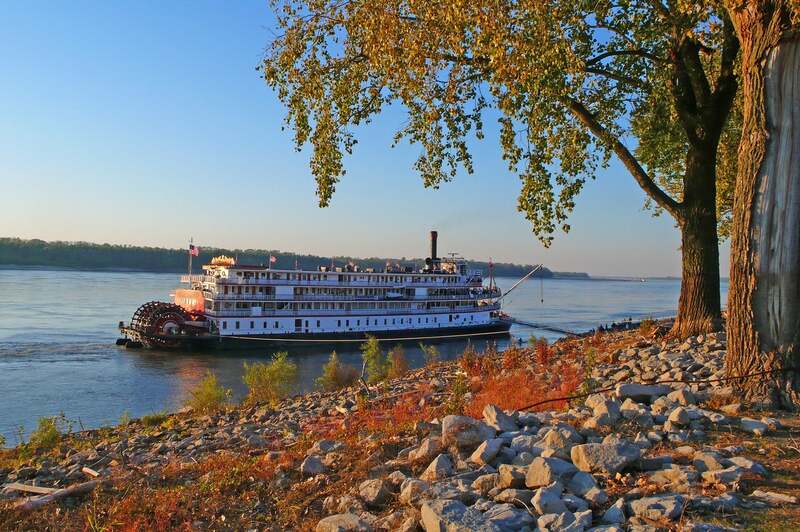 We have been looking to cruise the Mississippi, keep us notified on any great deals. Double occupies. Glad to hear Viking is coming to the Mississippi. Cruised Germany and Czech Republic with them. But wrote a letter to the CEO nearly 3 months ago, sent certified mail, to date not heard a peep. Disappointed. Thank you.